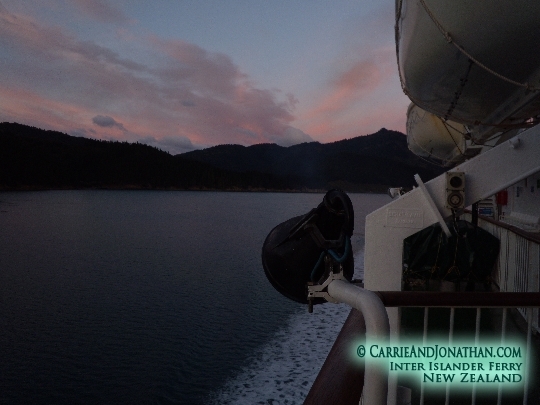 Taking the sunrise Interislander ferry from the south island of New Zealand to the north island of New Zealand is among the favorite travel Experiences of my life (so far). As mentioned in a previous post, part of doing a campervan rental relocation meant taking the ferry from the south island of New Zealand to the north island. 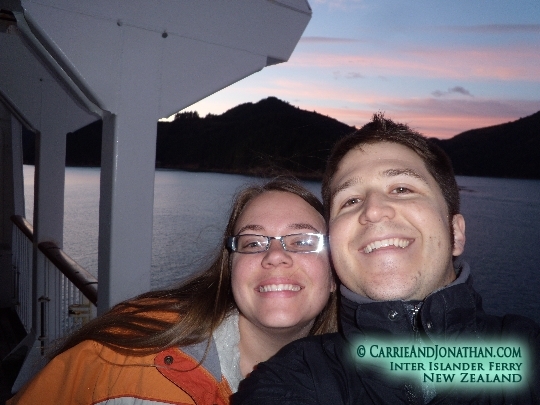 We spent about 4 hours sleeping in the campervan before getting up at 4:45 AM so we could catch the 6:25 AM Ferry. 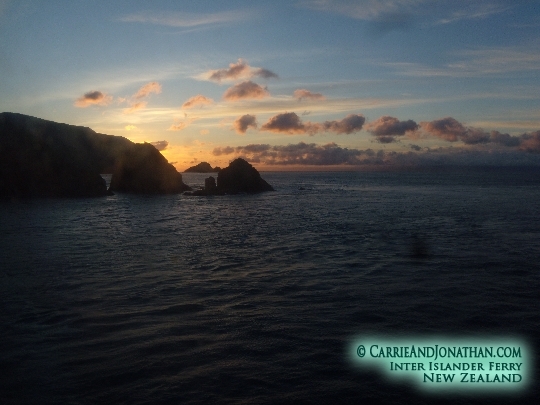 The trip on the Interislander ferry was, and will be, one of the best sunrises I have ever seen, and is one of my favorite travel experiences ever. As the driver of a vehicle, my ticket was NZD$70 (though we’re pretty sure the relocation program has a high markup on that ticket), and Carrie’s (booked separately), was NZD$41. The campervan transfer was paid for by the relocation company, so our total cost was just for us to go across. This meant we spent NZD$111, but we had the camper once we arrived at the other side. I don’t like to get up early, but once I’m up, I’m always happy to see sunrises. 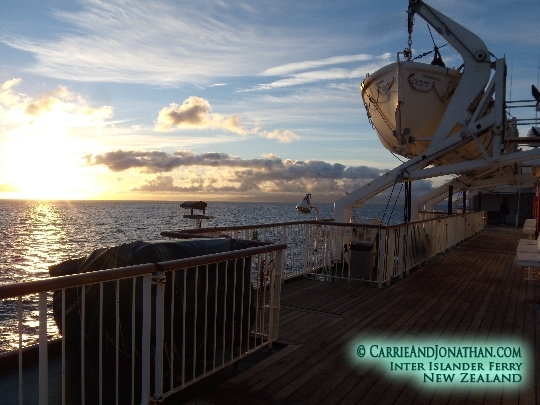 This was a sunrise on a quiet ferry transport cruiser. 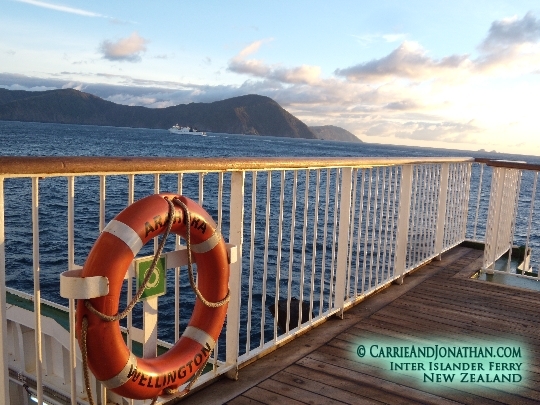 The ship we rode on is the smallest of 3 ferries in the Interislander New Zealand fleet, but even the smallest ship holds up to 650 people (plus train cars, semi trucks, and passenger cars). I kind of felt like a crazy person, while running around all over the boat, trying to get the best photos I could. I think the pictures speak volumes as to the sheer beauty of the morning, so I’ll leave the rest of this post to photos. 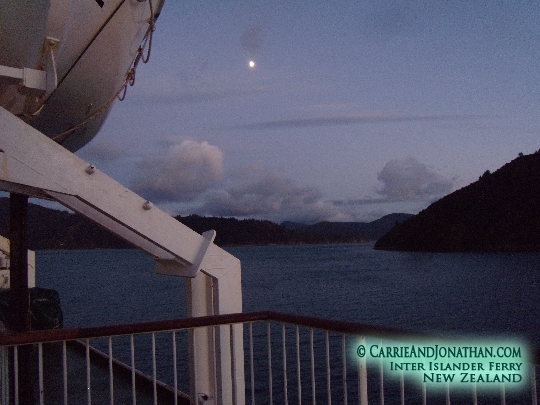 Needless to say, if you are in New Zealand, and you can, take a sunrise ferry trip on the Interislander from Picton to Wellington; this trip is an absolute MUST.